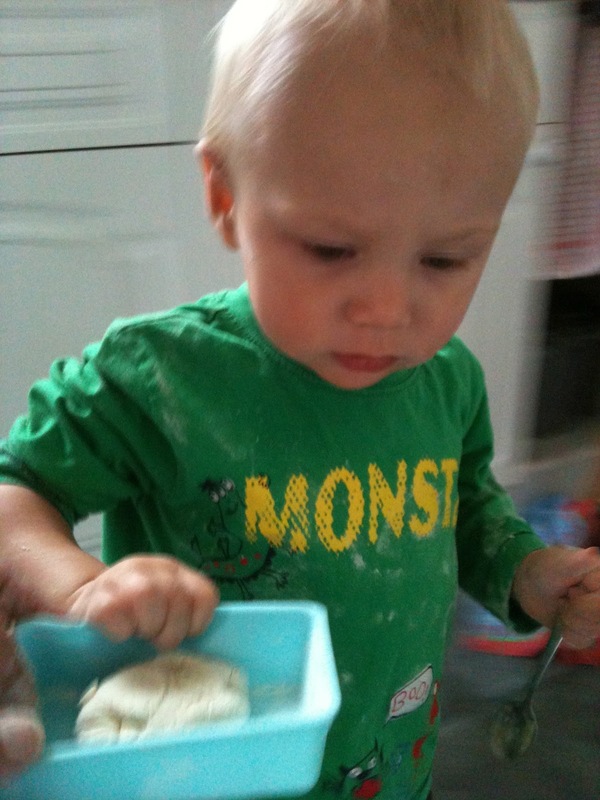 Emma in Bromley: Blake makes bread with Grandma's breadmaker! Whilst our kitchen project is taking part, we are staying at my inlaws, my mother in law is very lucky to have any kitchen gadget you can think of and Blake really enjoys watching and taking part in cooking - my list of kitchen desires is growing by the day and I've now added breadmaker to my wish list in the unlikely event that there is money left in the pot after all the essentials are done! 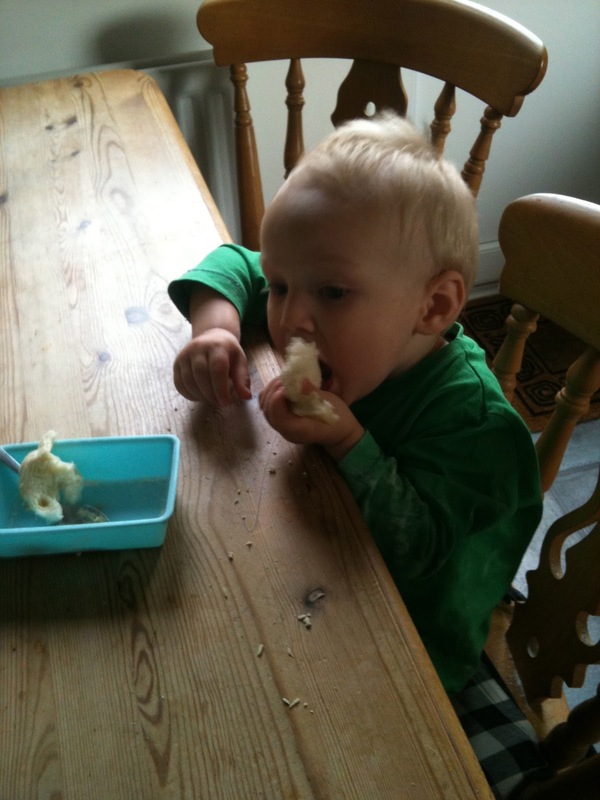 At 23months Blake is like a little parrot and copies everything - his impressions of a breadmaker are adorable - well in my opinion they are but then he is my baby boy! Thought I'd share videos of Blake's breadmaker impressions! 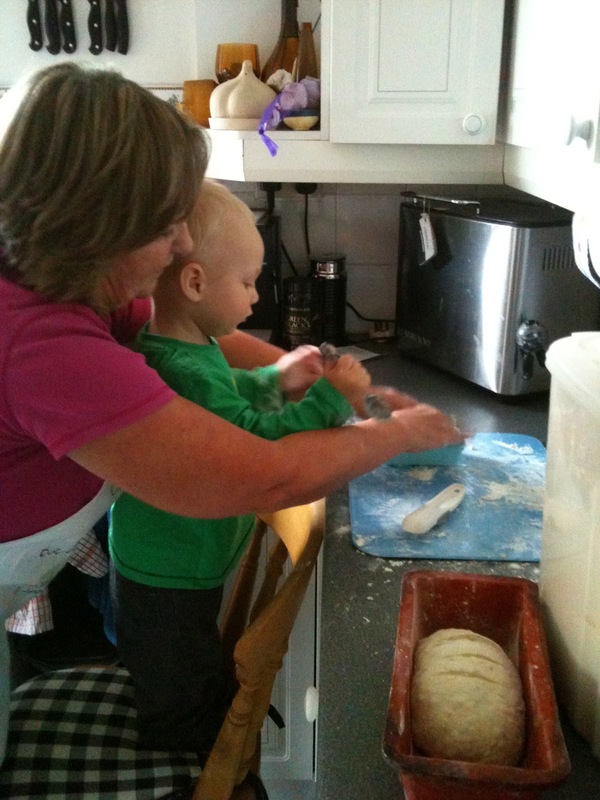 Blake took great pride in making his mini loaf - Grandma had chosen to take the dough out of the breadmaker, divide the dough and make two loaves from one mix and finish it off in the oven! Blake helped with kneading and made his own teeny loaf, I was very impressed with how much he did, given it was his first attempt - but also, there was a moment where he tried to eat some of the dough! I can't wait until we are back in our house with our new kitchen so Blake can help me to cook too and fingers crossed for a breadmaker! - After the fridge freezer, dishwasher, washer dryer, cooker, kettle and kitchenaid mixer!!! phew! what a shopping list hey! we need everything, even a bread bin! Here are some photos of Blake making his first loaf of bread. Can't wait to start baking with my little one! Popping over to say hi from Mummy's Little Monkey blog hop!